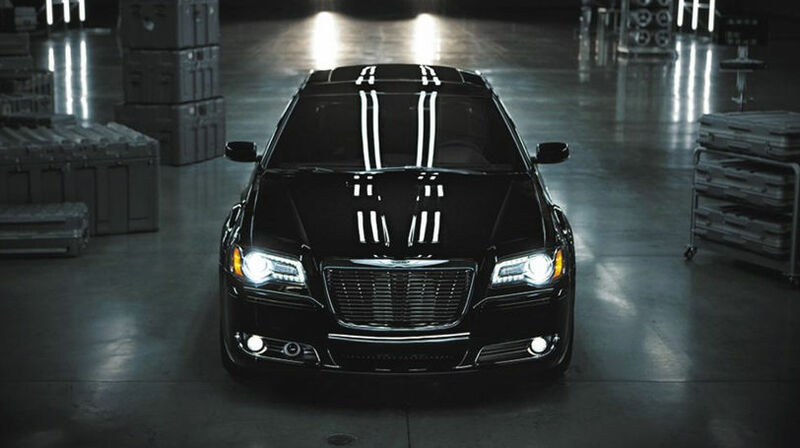 The 2014 Chrysler 300 has earned a reason to be excited. The National Highway Traffic Safety Administration rating has been given and the 300 earned top marks. The 2014 Chrysler 300 has earned a five-star overall safety rating. This five-star rating is for the front-wheel and all-wheel drive versions of the 300. The rating is for the test results for front and side impact tests and rollover crash tests. For the front and side tests, the 300 received five stars and four stars for the rollover crash test. The Insurance Institute for Highway Safety had already rated the 2014 Chrysler 300, giving the sedan “good” ratings in all of their tests. Safety is always a major concern for auto makers and the 2014 Chrysler 300 is no slacker in this department as the tests already have verified. This is thanks to each 300 being equipped with front multistage airbags that deploy with the appropriate force based on the impact. For the protection of everyone in the sedan, the 300 also is equipped with side-curtain airbags as well as a driver inflatable knee blocker. The 300 also achieves a high level of safety by coming with an available all-wheel drive system to help maintain control in nearly all conditions. For more information on the Chrysler 300 or other Chrysler products, contact us at Bayside Chrysler Jeep Dodge. Visit our website to schedule a date and time to be seen in our service department for an annual vehicle check-up. Be sure as well to like the dealership on Facebook and on Twitter to see our monthly specials and offers. Undercar Digest has named Mopar’s re-manufactured air conditioning compressors as a Top 10 product, as voted by their readers. Mopar’s re-manufactured air conditioning compressors are built for older Chrysler Group models, and seeing that Chrysler Group vehicles are holding up better for a longer time, car owners are holding onto their vehicles for longer. Owners are more likely to replace parts, such as air conditioning compressors, before they trade in for a new model. Fortunately, Mopar offers re-manufactured engines, transmissions, electrical systems, steering assemblies, brake components, and more, and these product lines are tested and inspected to meet current vehicle requirements, making them even better than the original parts. Last year, Mopar offered hundreds of re-manufactured parts, giving Chrysler, Jeep, Dodge, and Ram owners the option to hold onto their favorite cars for longer. 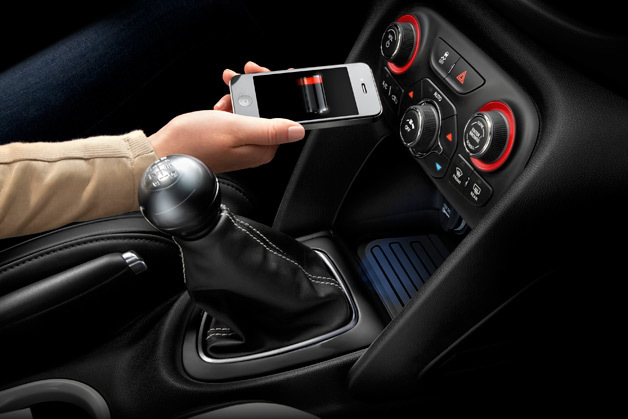 For more information on all of Mopar’s available parts, contact us at Bayside Chrysler Jeep Dodge. You can also download our mobile app to schedule a time to be seen in our quality service department. Be sure to like us on Facebook and to follow us on Twitter to see our monthly parts and service specials. Whenever big auto shows are involved, Chrysler has had the mentality of going as big as possible. With the upcoming 2014 North American International Auto Show coming up, Chrysler is letting Mopar loose to engage the attendees in a big way. At the auto show, happening in Detroit, Mopar will be setting up shop to give people the chance to experiment with cars. Each person in attendance will be given a chance to get a hold of a iPad with an app allowing them to put together a custom car to their liking. The Mopar exhibit will be the largest exhibit to date in at the Cobo Center hosting the auto show. 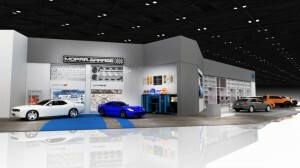 It will take up 5,500 square-foot to give people a look at the vast array of parts that Mopar has. Also at the exhibit will be all of Mopar’s specially customized vehicles that were shown off at the previous year’s Specialty Equipment Market Association Show. Among this special vehicles will be the 2014 Mopar Dodge Challenger, SRT Viper, Jeep Cherokee Trail Carver, and the Jeep Wrangler Recon. The 2014 North American International Auto Show will be open to the public January 18th through the 26th. If you’re in the Detroit, this will be a great chance to mess around with some fun Mopar toys. For more auto news and specials, like Bayside Chrysler Jeep Dodge on Facebook and follow on Twitter. The next development in Chrysler engineering? Is it a new engine? No, it’s not. Maybe the follow-up to the Uconnect? Nope, not that either. Could it be another redesign for a Jeep vehicle? Not at all. The next step in the Chrysler development is the human lung. With that setup and segway out of the way, let me explain. Chrysler is looking for ways to improve on the current gasoline model of compressed natural gas. For that, the engineers turned to the human lung for reference in making an improvement. Current tanks are too big and awkward to fit into a vehicle. Typically the tank takes up room in the cargo space. By going with the design of the human lung, Chrysler thinks they’ve solved the problem of space. Like a lung, the new tank will use expanding sacks similar to how alveloi work in a lung. This leads to the tank no longer needing to be cylindrical in shape like traditional tanks. Chrysler currently offers CNG in the Ram 2500, but if this new technology works as well as they hope, it’s very possible to see more. For more information on the Ram 2500, or other Chrysler products, contact us at Bayside Chrysler Jeep Dodge. Whether you’re looking for a new or used car or just need to schedule an appointment for a check-up, we are always ready to help. Sirius Radio and Chrysler have teamed up to give drivers of Chrysler’s newest models access to satellite radio. Market Watch is reporting that buyers of new 2014 models of Chrysler, Dodge, Jeep, or Ram will be receiving an added bonus on top of the purchase. Sirius radio will extend to them a one year subscription just for buying. This is not some limited subscription either, this is full access to their suite of programming including their premium channels. Even though it comes with the car, the one year subscription to Sirius that comes with 2014 models is able to leave the vehicle. So at home, in the office, walking to work with the headphones on, each of these will grant continued access to the bargain. The qualifications for being part of this new deal is that it will be limited to the 2014 models that come with the Uconnect system. For more details on the offer, contact us at Bayside Chrysler Jeep Dodge. We have all the 2014 models from the Chrysler, Dodge, Jeep, and Ram family. If you’re looking to get your current vehicle check-out in time for winter driving, then contact our service department to schedule a time to come in. Follow us on Facebook and Twitter for more news and monthly specials. I hate hearing the word “hurricane” living in New York, not after the last storm. It’s nice to see however the word being used for something so promising. When Auto News asked Chrysler’s reps for a comment, the company declined to say anything. The I-4 was recently reworked for use in current models of Chrysler products, the Dodge Dart and the upcoming 2014 Jeep Cherokee. The aim in the reworking was for better fuel economy and performance, which would also be the goal of the 2016 “Hurricane” engine. If your current vehicle is in need of maintenance then contact the service department at Bayside Chrysler Jeep Dodge. The dealership operates in the Bayside Queens area of New York with top-notch customer service and will work to make sure you vehicle is working and ready for the upcoming fall weather. Like us on Facebook and follow us on Twitter for more news and special monthly offers! 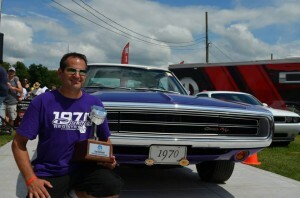 Mopar “Top Eliminator” Chooses Winner! Say what you will about Mopar fans, but one thing that is completely undeniable is their loyalty to the brand. It’s about showing off that love and loyalty by displaying just how well equipped your ride is. That’s what Mopar loves to see, their fine work in the hands of fans and so the parts maker put together the “Top Eliminator” program to see the best of the best. This year’s contest took place at the same place where Chrysler was already making a giant splash by showing off a new concept Ram truck, the Woodward Dream Cruise. The winner comes from the east coast, a New Jersey resident Bill Mann and his 1970 Dodge Charger. And what a unique Charger it is with a white-over-Plum exterior. The other Mopar pick from this year’s contest was Miles Watsko and his 1964 Plymouth Savoy that was held at Midwest Mopars In the Park held in June. By being a winner, both Mann and Watsko get more than just bragging rights to the rest of the Mopar community. They also get to be showcased as part of the Woodward Dream Cruise happening this weekend in Detroit. To read more into the inspiration and work that Mann put into his Dodge Charger, Mopar Muscle Magazine has an extensive breakdown that is a fascinating looking into the work of a gear head on his vehicle. If you’re interested in sprucing up your current ride, contact our parts and service department at Bayside Chrysler Jeep Dodge and see what we can do to help give your vehicle a unique flavor. Could the New Diesel Engine Be in Other Chrysler Vehicles? It was a move that many saw coming, mostly because the people in question wanted it very badly to happen. With the upcoming 2014 Ram 1500 and Jeep Grand Cherokee, Chrysler Group will be making drivers quite happy with the additional option of a diesel engine to choose from. Chrysler is expecting them to be quite popular. Raffaele DeVivo, the president of VM Motori North America thinks that 30 percent of 1500 buyers will take the optional 3.0-liter V-6 diesel engine. That’s what Chrysler wants to see, demand for the diesel. If they see enough demand, in fact, they are looking to keep expending that engine for use in other vehicles. “Wherever there is a (Chrysler 3.6-liter) Pentastar, there could be a VM 3.0 liter diesel – Dodge Durango, Chrysler 300, Dodge Charger, Jeep Wrangler, the minivans,” says DeVivo. What do you think? 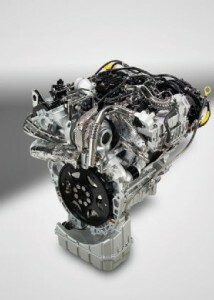 Are you planning on purchasing a the optional diesel engine for either the 2014 Ram 1500 or Jeep Grand Cherokee? Would you want to see the engine offered in other Chrysler products? Interested in Mopar parts for your vehicle? Visit Bayside Chrysler Jeep Dodge online. We have our new and pre-owned inventory available for viewing. For visitors in need of auto repair and service, schedule a time to come in with our high-quality service department. Like us on Facebook and follow us on Twitter for more auto news and for our monthly parts and service specials. 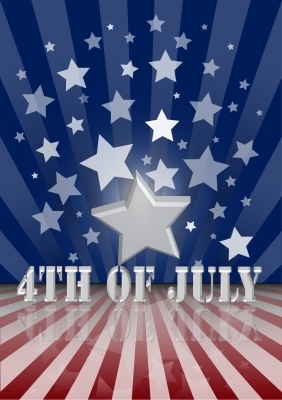 Bayside Chrysler Jeep Dodge will be closed this Thursday in observation of the 4th of July. We will reopen with normal business hours the following Friday. *$0 down, tax & tags due at signing. Must qualify for lease conquest. *$0 down, tax and tag due at signing, Must qualify for Volkswagon Bonus Cash.